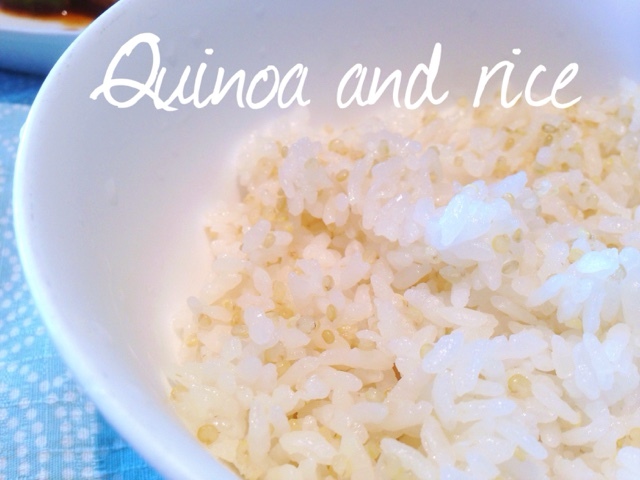 Instead of just plain white rice, I added some quinoa - No waiting time needed unlike when adding other grains, which typically requires some soaking before cooking it with rice. The little bites of quinoa provide a nice texture. And knowing the additional nutritional content that goes in every bite makes eating a bowl of rice even more interesting and enjoyable. Sometimes plain white rice gets very stale (if you eat it almost every day) - so I've been adding lentils (soaked for half a day) and now quinoa that I found just sitting in the pantry. We try to eat simple - these days with ready made side dishes which makes life so much easier especially when cooking in the summer with the suppressed appetite that accompanies the weather leaves one much to prone to eating more unhealthy junk and processed food. And the secret of that is to buy ready made side dishes! 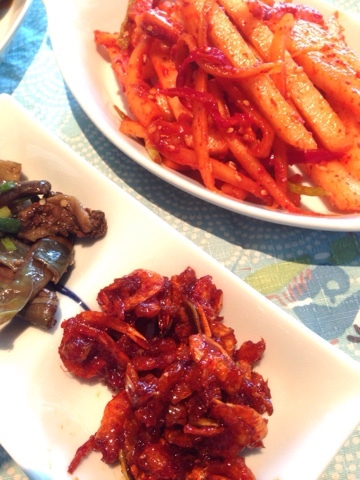 There are individual stores in Korea that sells just side dishes (banchan). I love it love it. It tastes much fresher than the ones in the the grocery stores which are packed up laden with preservatives. 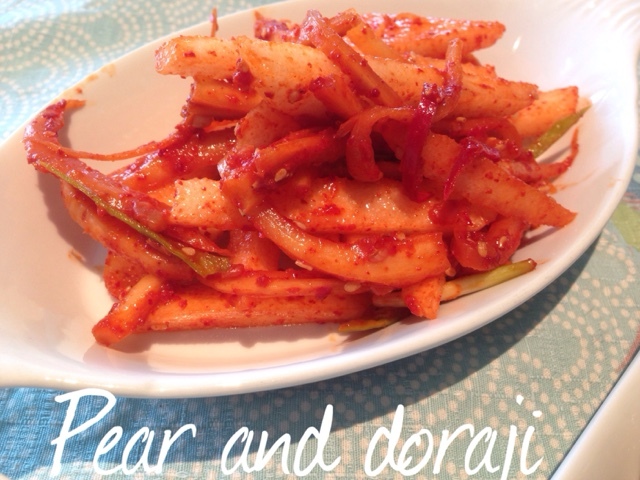 I cut them in slices and mixed them with the spicy "doraji" banchan to lighten it up. The sauce on the doraji banchan was so strong that I didn't need to add anything. Pears are really great with spicy dishes by the way. You can probably add them to any spicy dish to give it a "salad" taste. 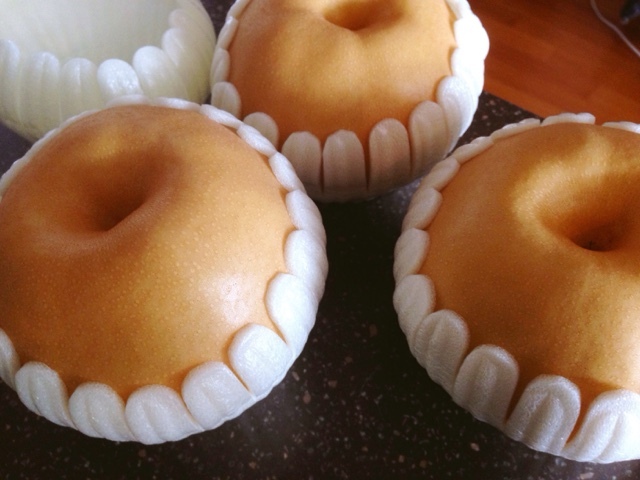 Korean pears are too die for! They are in season right now and taste their best. I say stock up on them and eat them up before it's too late! hi I;m visiting Korea in November and would love to buy some of the nice side sides back. Could you recommend a few please? We will be staying at mengyongdong. Thanks very much in advanced! MyungDong has 2 nice department stores called, SHINSEGAE and LOTTE dept stores. 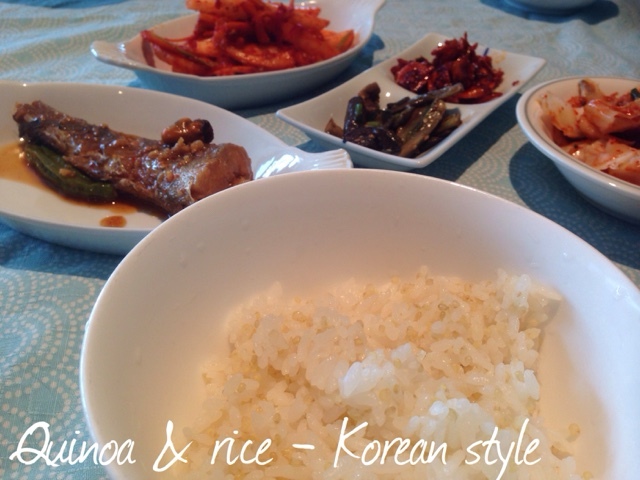 If you go into their grocery/food section (usually B1 floor), they have ready made packed Korean side dishes. The kimchi section in grocery stores will usually have the side dishes next to it. I hope you find what you like. Have a good time in Korea!